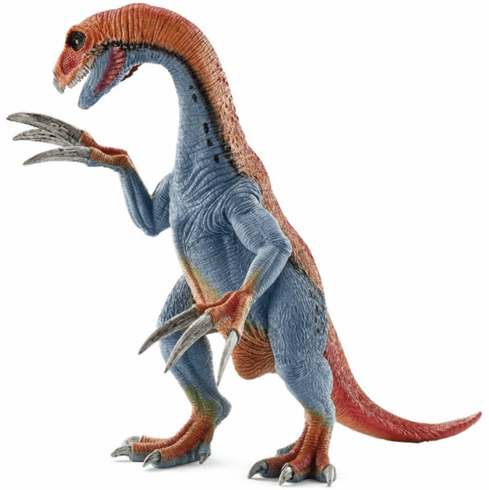 Hinged Jaw on this Schleich Therizinosaurus actually opens and closes as do the arms! The Therizinosaurus had huge forelimb claws, each up to one meter long; Until today, nobody has found out what it needed weapons like these for. Stands approximately 8" inches tall.